Protect your property with commercial window tinting in Denton,TX. Adding film to your windows benefits your customers, your employees, and your bottom line. Contact us, today, at 940.220.6777 for a free quote. Retail storefronts are frequent targets for theft and vandalism. Splinters and flying glass are dangerous consequences of broken windows, and a layer of film is an easy way to minimize damage. Our commercial window tinting is designed to prevent broken glass from shattering, providing an extra layer of protection for your store. Criminals will think twice before breaking a window, and some styles of film even prevent would-be burglars from seeing in at all. Tinting your windows is a great way to cut your energy costs and reduce overhead. A reflective film can block as much as 80% of the sun's heat, dramatically lowering your air conditioning costs in the summer and heating costs in the winter. Lower HVAC bills mean more money in your pocket. North Texas has extremely hot summers and many clear, sunny days that emit dangerous levels of UV radiation. Those rays are dangerous to people and fade any materials in full view of the sun. A reflective film blocks dangerous UV rays, making the interior of your store healthier and protecting your furnishings from fading or being bleached by the sun. 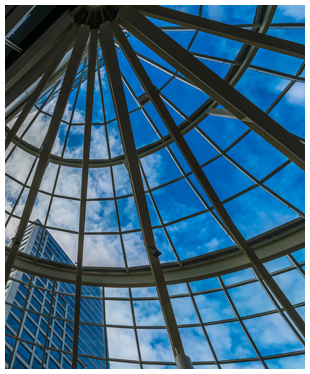 Our window tints make building exteriors more attractive by eliminating visual clutter and creating a uniform appearance. We'll help you choose the best shade and tint for your property. When choosing a window film, it is important to select a product that will stand the test of time. A cheap film can fade, bubble, peel, or change color over time. A bad installation can even damage your windows or seals. If you have to pay to have a film removed and reinstalled, it could easily cost you two or three times more than installing a high-quality film. Our team removes aging or failing window films and replaces them with our own products. We use Madico window films that are made from the finest materials and come with a 10-year manufacturer's warranty. If the film is defective in any way, we will return to your location and replace it free of charge. 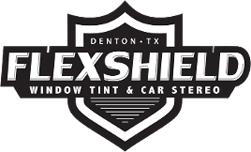 Contact us at 940.220.6777 or check out our state-of-the-art window tints in Denton by visiting our gallery.